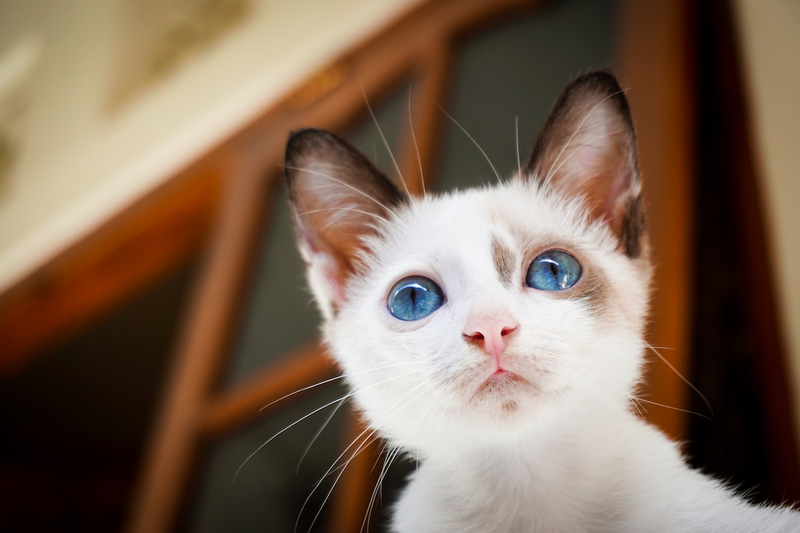 are essential ingredients for your cat’s overall health. As your cat’s caregiver, nutrition is the most significant health variable you control. Unlike humans, cats can’t sneak to the refrigerator for a late-night snack or hide candy bars in their beds. For the most part, what your cat eats is entirely dependent upon you. Because of this, the team at Just Cats Hospital dedicates time to counsel you on your cat’s necessary nutrition. When it comes to pet food diets, expensive does not necessarily mean better. Some pet food companies spend as much or more money on marketing their product than they do on assuring they produce a product that not only meets feline nutritional needs, but also contains high-quality, digestible protein and promotes a healthy weight. The best pet food companies have a board-certified veterinary nutritionist on staff or available for consult. Board-certified veterinary nutritionists help to assure products are appropriately formulated for cats. Making the best nutritional choices for your cat not only affects general health, but will improve the quality and length of your cat’s life. To support your efforts, the doctors at Just Cats Hospital perform a thorough body condition evaluation during every physical examination and provide recommendations based on what we see. We can also provide you with important information on proper serving size, nutrient needs, ideal body condition and how to enrich home environment to reduce boredom for your cat. We will also help you navigate cat food claims so you can make the most informed choices. Feeding your cat high-quality food is one of the best ways you can contribute to his or her health and vitality. For an otherwise healthy cat, we recommend feeding a name-brand, commercial canned and dry food diet with a focus on moist and canned products. As a general rule, canned food tends to be better at promoting a healthy body weight, and because of its increased water content, may also be helpful in preventing and treating conditions such as urinary tract disease and constipation. We suggest avoiding generic and “house” brand cat foods. For specific recommedations or the best diet plan for your cat. Cat food delivered to your door at a discount. What could be better?